Firmer tanker spot returns and rock bottom newbuild values too attractive to resist? 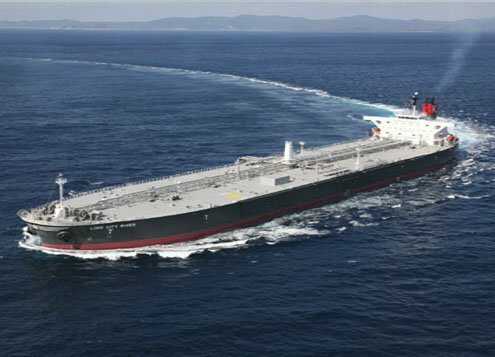 While tanker orders have slowed dramatically in the second half of the year, shipbroker Gibson is suggesting owners could be tempted to take a punt with prices on offer at “rock bottom”. With prices at their lowest since 2003/2004, orders poured in during the first six months of the year with Gibson reporting 139 tankers above 25,000 dwt had been ordered, double the level for the whole of 2016. However, ordering activity slowed down notably over the past few months, with just 37 units ordered since July. In the VLCC segment, nine firm orders have been placed, versus 38 during the first half of the year. The change in investment appetite has been more dramatic in the suezmax and LR2/aframax segments. Just four suezmaxes and two units units in the LR2/aframax size group have been ordered over the past four months, versus 16 and 44 correspondingly between January and June 2017. The only sector that has remained somewhat active is the MR segment (25,000 to 55,000 dwt), where 39 orders were placed in the first half of the year and another 22 orders since. “Yet, even at these levels ordering activity is still limited, particularly when compared with investment levels witnessed back in 2012/13, when 340 MR orders were placed,” Gibson noted in its most recent weekly report. The broker cited the “accelerating turmoil” in the tanker market as a contributing factor to the latest slowdown in appetite for investment in new tonnage. “Crude tanker earnings fell below the OPEX break-even mark over the summer months and in early autumn, while earnings in the product tanker market have faired similarly for most of this period,” the company reported. However, with market sentiment improving the broker mused whether orders might now rev up.